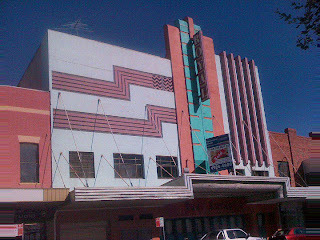 The Theatre Royal at 667-669 Hunter Street in Newcastle is one of the few remaining 1930s cinemas in the Art Deco / Moderne style with the original interior features surviving in relatively good condition. The Theatre Royal has many key features and fixtures that exemplify the Art Deco / Moderne style and era, in particular its interior wall detailing and staircase railings. 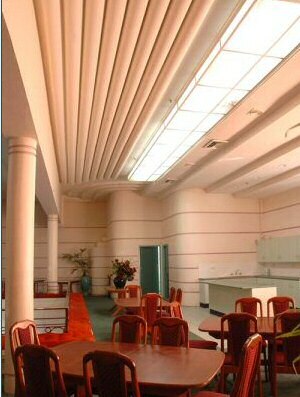 These can be appreciated in the photos below of the interior of the theatre. The Theatre Royal is also the only remaining cinema in Australia designed by Charles Bohringer, a well-known practitioner of the Art Deco style. 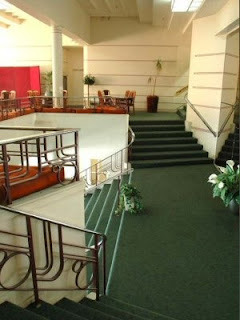 It was redesigned and rebuilt by Bohringer in the classic Art Deco style and re-opened to the public in 1939. - Theatre Royal sources - NSW Heritage Listing.